To claim this profile, please confirm you are Matthew Robertsons. To follow this profile, please let us know your relationship to Matthew Robertsons. RESULTLoss Boys JV soccer @ Santiago. 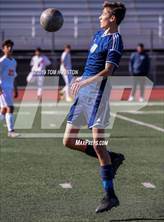 The King JV soccer team lost Thursday's away conference game against Santiago (Corona, CA) by a score of 2-0. RESULTWin Boys JV soccer vs. Centennial. The King JV soccer team won Tuesday's home conference game against Centennial (Corona, CA) by a score of 2-1. RESULTLoss Boys JV soccer @ Corona. 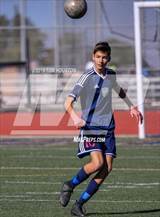 The King JV soccer team lost Thursday's away conference game against Corona (CA) by a score of 1-0. The King JV soccer team won Tuesday's away conference game against Roosevelt (Eastvale, CA) by a score of 1-0. RESULTWin Boys JV soccer vs. Norco. The King JV soccer team won Thursday's home conference game against Norco (CA) by a score of 9-0. RESULTLoss Boys JV soccer vs. Santiago. The King JV soccer team lost Tuesday's home conference game against Santiago (Corona, CA) by a score of 1-0. RESULTLoss Boys JV soccer @ Centennial. 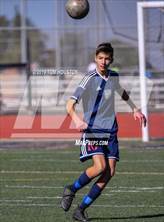 The King JV soccer team lost Thursday's away conference game against Centennial (Corona, CA) by a score of 2-0. RESULTWin Boys JV soccer vs. Corona. The King JV soccer team won Tuesday's home conference game against Corona (CA) by a score of 3-2. Matthew had 4 photos tagged from the game against Poly. RESULTWin Boys JV soccer vs. Poly. The King JV soccer team won Thursday's home non-conference game against rival school Poly (Riverside, CA) by a score of 4-1. 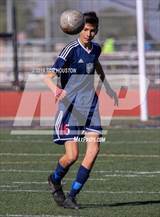 Matthew has been added to the King JV soccer roster. RESULTWin Boys JV soccer vs. Roosevelt. The King JV soccer team won Thursday's home conference game against Roosevelt (Eastvale, CA) by a score of 3-2. RESULTWin Boys JV soccer @ Norco. 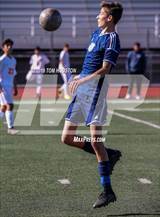 The King JV soccer team won Tuesday's away conference game against Norco (CA) by a score of 2-0. RESULTLoss Boys JV soccer @ Redlands East Valley. The King JV soccer team lost Friday's away non-conference game against Redlands East Valley (Redlands, CA) by a score of 1-0. RESULTWin Boys JV soccer @ Murrieta Mesa. The King JV soccer team won Monday's away non-conference game against Murrieta Mesa (Murrieta, CA) by a score of 6-1. RESULTWin Boys JV soccer vs. Vista Murrieta. The King JV soccer team won Saturday's neutral tournament game against Vista Murrieta (Murrieta, CA) by a score of 3-2. RESULTLoss Boys JV soccer vs. Citrus Hill. The King JV soccer team lost Thursday's neutral tournament game against Citrus Hill (Perris, CA) by a score of 3-1. RESULTTie Boys JV soccer vs. Ramona. The King JV soccer team tied Wednesday's home tournament game against Ramona (Riverside, CA) by a score of 1-1. RESULTWin Boys JV soccer vs. Citrus Hill. The King JV soccer team won Friday's home non-conference game against Citrus Hill (Perris, CA) by a score of 5-1.